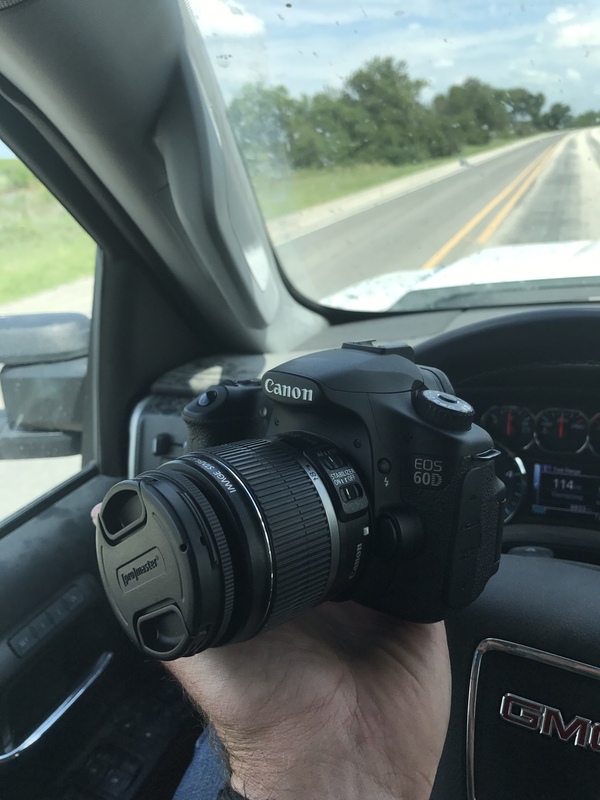 I found a really good deal on a Canon 60D yesterday and now I'm the proud new owner of a sweet camera I know nothing about. It came with a wide angle 18-55mm lens and a 75-300mm lens. I've been on YouTube this morning learning a little and messing with it. If anyone has any beginners tips or advice I'm all ears. I know there are some guys on here that take some great shots. Best advice I have is to just get out and use it. And start saving for all the lenses you will want! First advice is don’t take pics while driving down the highway. In all seriousness, get a manual and read the stinkin thing.... twice. That is a very capable setup. Congrats! The good news it's digital, you won't be wasting that stuff you used to have to put in cameras.........film and developing. The thing will take great photos by itself. All you need to do is get it in the frame and squeeze the trigger without moving too much. That's the same model camera I've been using for several years now. I really like mine. As has been said, get a manual from somewhere. There are a lot of tricks this little camera is capable of, and you'll need a manual to figure them all out. Then (as has been said) get out there and take lots of pictures. See what works best for you and stick with that. Mine has a battery grip on it and goes with me everywhere. For now I would just take lots of pictures and see what works and what doesn’t for your style of photography. No need to upgrade things until you’ve gotten used to the camera unless you want to buy a 50 f/1.8, which costs about $100and is a great little lens and gets you used to using your feet to get the shot instead of the zoom ring. It is also a fast lens so it works well in low light situations. Then find some books on composition and depth of field to start paying with all the settings available to you when you switch to manual mode. Once you get the hang of it start saving because you will want nicer lenses and he L glass doesn’t come cheap, but is worth every penny. I have the 17-40, 24-105, and 200 f/2.8, and rented the 100-400IS II. I will be looking for a good deal on the 100-400when I get home.